Talley’s books have been very hit and miss with me so far. I adored Lies We Tell Ourselves, but her second book, What We Left Behind, didn’t live up to my expectations at all. 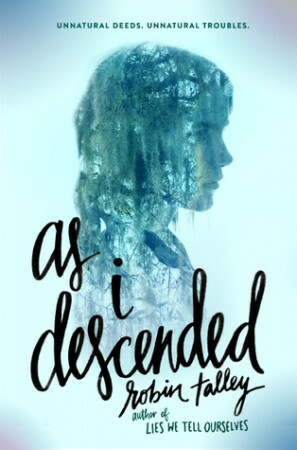 I’d been looking forward to As I Descended, though, because I liked the idea of a genre switch-up. Thankfully, I did really like the book. I didn’t love it, but it was good. One thing that really stood out to me was the way Talley pulled off several points of view. I’m often not a fan of books told from multiple points of view, because I often feel like it’s unnecessary and adds little to the plot. However, Talley did this really well. 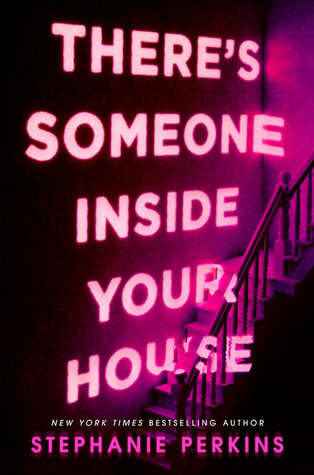 The characters were all different enough that they stood out, and I really liked hearing about the events happening in the novel from various people. This was great, because it made me question the other characters, and the events that happened, which added a large amount of suspense. I’m not all that familiar with Macbeth (*gasp*), so I can’t say how well the story connected to the original, or if there were many references in there because I definitely will have missed them all. Another thing that Talley does really well is write diverse characters. For example, in this book we have both an f/f couple and an m/m couple, there’s a character with a physical disability, and a couple of Latino characters. I always love how diverse Talley’s books are. All that said, I didn’t really feel a massive connection to any of the characters, or the plot itself. It was enjoyable, sure, and I wasn’t bored at all. I was excited to read to the end of the book to find out what was happening, but that’s about it. Some books just don’t stick with you, you know? So I would rate this book higher than WWLB, but it was nowhere near as good as LWTO.